Have you ever had one of those dreams where you’re trying as hard as you can to run away, but you can’t seem to break out of slow motion, or you are simply stuck in your tracks? I have. Except for me, it wasn’t a dream – it was my life. It all started in my left knee the summer after my freshman year of college when the doctors ordered physical therapy for what they thought was a workout injury. I regularly attended appointments, wore a knee brace and practiced my exercises, but saw zero improvement. Fast forward to a few weeks later when I was on vacation and started to wake up every morning with a dull ache all over my body. At the time, I attributed it to the less than supportive beds and put it out of my mind. But upon returning home, the unthinkable happened. I woke up one morning barely able to move, paralyzed with pain covering my entire body. I was indefinitely unable to break out of slow motion. After an onslaught of testing and doctors visits, I was diagnosed with psoriatic arthritis, a form of autoimmune arthritis. The diagnosis turned my life upside down. Every day became a battle against my joints, fatigue and my self-confidence. Five months after my initial diagnosis, I was lying in a hospital bed, 25 pounds lighter than the week before I was admitted and unable to drink water without feeling unbearable pain. I was both physically exhausted and mentally drained. The journey to that hospital bed was a long one, having been sent in and out of the Emergency Room three times over the course of one weekend, because no one believed the pain I experienced was real. A week into my hospital stay, in a last ditch effort to figure out what was happening, the doctors ran a capsule endoscopy and discovered bleeding ulcers in my small intestine. It was at this point that I finally received a definitive diagnosis — Crohn’s disease. This was my second autoimmune disease diagnosis over the course of six months. Sadly, my story is not uncommon. But instead of focusing on the pain and suffering endured, I would like to focus on the hope that exists for patients and that hope lies within research. Researchers and patients saved my life. Because of the research and the brave patients that took part in clinical trials, the biologic I take was approved by the FDA. I now receive a treatment that allows me to live a relatively “normal life.” And I couldn’t be more grateful. Because of this revolutionary medication, I have been in remission for four years from my autoimmune diseases even after several years of failed treatments. My journey as a patient has defined my reason for being and I now have the remarkable opportunity to pay it forward and support the research and patients who changed my life. 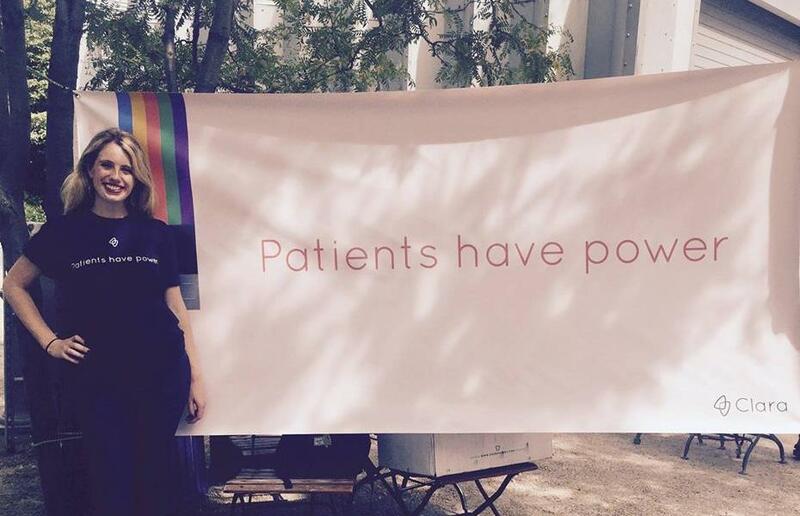 That is why I now serve as the Head of Patient Advocacy at Clara Health, a company working to connect patients to clinical trials and support them throughout the process. Clinical trials are research studies that investigate how effective a medical treatment or device is for treating a condition. There are currently 909 recruiting clinical trials for arthritis and 500,000 volunteers needed to fill these trials. The trials range from observational studies that seek to understand the presence of rheumatic conditions in twins or siblings to interventional treatments studying biologics, ultrasound therapy, fitbits and working out with arthritis. These trials are the lifeblood of innovation and will help us continue to bring new diagnostics and treatments to market to help improve the quality of life of patients everywhere. • Be empowered with knowledge: It’s important to empower yourself with knowledge of all the treatment options at your disposal. 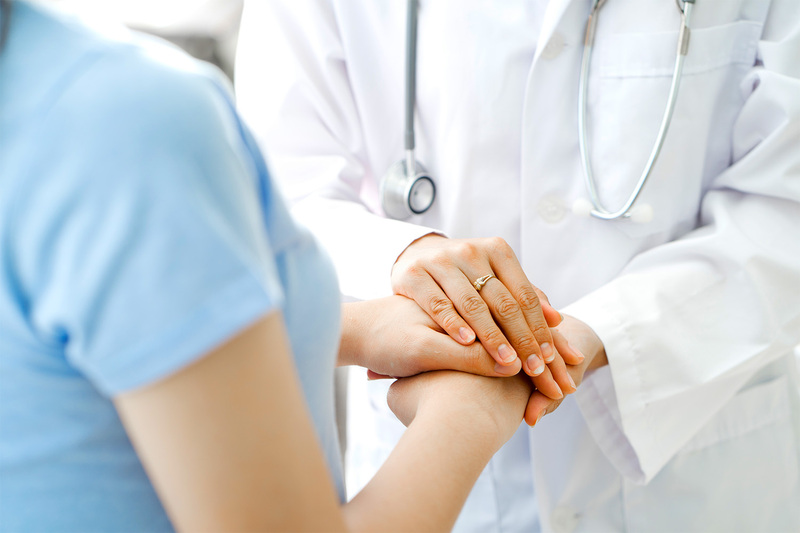 Clinical trials can offer access to cutting edge therapies to treat your condition. • Exhausted treatment options: If you have tried and failed approved treatment options, clinical trials can be great next step to consider. • Be a hero: Patients and healthy participants that participate in trials are not only potentially helping themselves, but also may be helping to save the lives of those who will be diagnosed in the future. If you’re considering a trial or just want to learn more, feel free to reach out to the team at Clara Health and we would be happy to help support you! Since being diagnosed with psoriatic arthritis and Crohn’s disease in 2011, Lilly has dedicated her life to patient advocacy. Lilly currently works as the Head of Patient Advocacy at Clara Health where she is responsible for conceiving and executing patient engagement strategy and ensuring the patient voice remains firmly at the center of the company. She is a Board Member for the American Autoimmune Related Diseases Association (AARDA) and also works closely with notable healthcare and biotech companies to ensure their initiatives remain patient-centric. You can follow Lilly's advocacy work via her website LillyStairs.com, Twitter @LillyStairs, and Instagram @LillyRoseStairs.